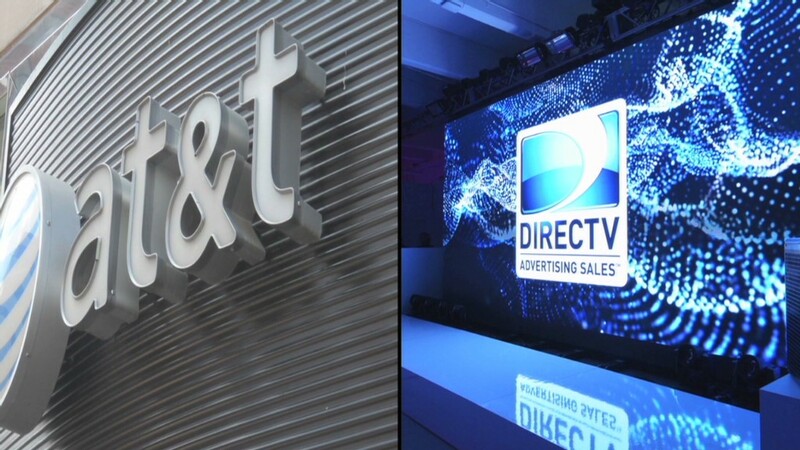 AT&T, fresh off its completed acquisition of DirecTV, is already flexing its muscles as a combined company. AT&T announced a new TV and wireless phone service on Monday, an important first step that will help integrate the satellite TV firm, and possibly attract new customers who want to pay a single bill for all their entertainment content and data. The offer promises users nationwide the ability to watch their favorite TV shows anytime -- on a TV, computer, tablet, or smartphone. It costs $200 a month for the first year, and includes HD and DVR service for up to four TVs, unlimited talk and text on up to four phones and 10GB of shareable wireless data. The package is the first of many that are expected to make use of the AT&T's combined TV, phone and Internet services. "Today is the first of many planned moves to enable our customers to enjoy a premium entertainment experience almost anywhere," said Brad Bentley, chief marketing officer of AT&T Entertainment and Internet Services. "We're going to deliver more TV and entertainment choices to more screens -- when and where our customers want it." While Netflix (NFLX) and other video streaming companies are making inroads, the vast majority of American households still rely on monthly packages of broadcast and cable channels sold by companies like AT&T. DirecTV provides satellite TV service. AT&T's newer, smaller U-verse is a fiber-optics service similar to cable. But U-verse is only available in a limited number of markets, so having DirecTV lets AT&T pitch TV/phone/Internet packages to a greater number of households. Mobile is the media battleground of the present and future -- and DirecTV, with its customer relationships and long-term carriage contracts, gives AT&T more weapons to fight with. AT&T (T) and DirecTV agreed to merge in May 2014, though the government approval process took more than a year. The merger, which was formally approved in late July, came with significant conditions attached -- some were meant to ensure that AT&T wouldn't give its own video services a leg-up over competitors. The conditions also involve expansions of AT&T's super-fast broadband Internet service and discounts for low-income households.